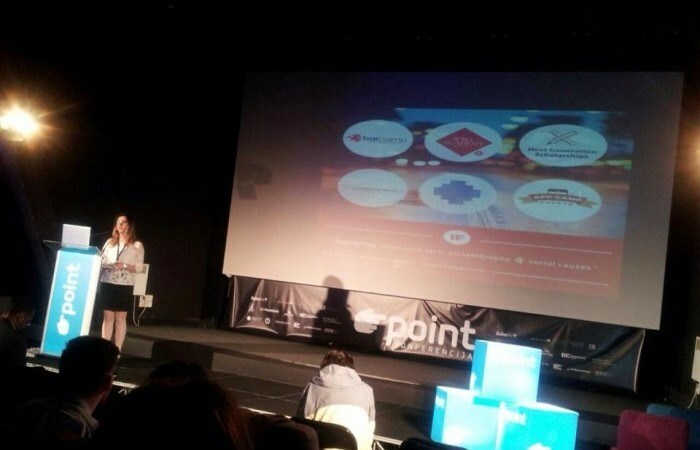 From May 22nd to May 25th 2014, IPKO Foundation staff attended the third edition of POINT conference along nineteen other activists from different organizations and institutions in Kosovo becoming thus part of a very well organized and highly interesting conference held in the beautiful city of Sarajevo. POINT Conference (Political Accountability and New Technologies) is a regional conference of civil society organizations from 6 countries of Southeast Europe (Albania, Bosnia and Herzegovina, Kosovo, Macedonia, Montenegro and Serbia), which are intensively engaged in using new technologies in their work, but it also involves the participation of organizations, individuals, groups and institutions from all around the world. This edition brought together high profile speakers and activists from the region and from all over the world to showcase valuable examples and experiences in fields such as technology, government accountability, transparency, political satire, political campaigns and many others that have resulted successful in other places. Lessons learned shared in the conference were appreciated by participants who were actively engaged during the conference with interesting discussions. Another important section of this conference were the series of presentations of different organizations in the region that utilize technology tools to reach different social goals. Among many organizations, IPKO Foundation projects on Digital Diplomacy were presented by Abetare Gojani, IF Program Manager, capturing the attention of the audience. The high number of active youngsters engaged in our projects was one of the most surprising and highly evaluated element of our programs. Happening in a difficult time for Bosnia and Herzegovina, a few speeches and activities in the agenda of this conference changed the course in tendency to raise awareness and find solutions to lessen the consequences of the biggest floods happening in the region since the records have begun. IPKO Foundation staff returned home with many valuable lessons and a stronger motivation to continue development of its programs and cooperation with different actors in the field. We cherish the partnership with U.G. Zasto Ne which is becoming ever stronger due to our cooperation in many activities including the coordination of Kosovo team attending the Point conference.